The winners of the 2018 Gold Gloves were announced on 11/4/18 … and once again, there’s a slew of poor selections among the winners when you look at the league leaders of defensive metrics. Of these 18 winners, I’ve got problems with at least 5 of them. Yadier Molina: wins his 9th Gold Glove, yet he was not the NL leader by any C statistical measure, nor was he the Fielding Bible catcher selection for 2018. Wilson Contreras was the NL leader in Fangraphs total defense stat and in Baseball-Reference’s Total Zone, while Jeff Mathis was the NL leader in DRS and FRAA. Molina actually posted a NEGATIVE DRS, and was ranked 11th in the NL among catchers with more than 500 innings (i.e. basically full time catchers). He posted the DRS figure as the Nationals’ Matt Wieters, who nobody in the majors is claiming to be a fine defensive catcher. This was clearly a “reputation selection” for a guy who yes at one time was inarguably the best defensive catcher in the sport, but who just played his age 35 year and has no business winning a Gold Glove over other more deserving candidates. DJ LeMahieu wins his third Gold Glove, yet was flatly outshined by the Cardinals’ Kolten Wong, who nearly swept the defensive metrics. Wong was the NL leader in Fangraphs total defense, UZR/150, and DRS, LeMahieu was the league leader in FRAA and Baseball Reference’s total Zone, which honestly are the two weakest defensive metrics. It isn’t that LeMahieu isn’t good: he was 2nd to Wong in the three categories Wong led … but the award should go to the winner. Wong was the Fielding Bible award winner for good reason. was probably the deserving choice of players who didn’t miss half the season, so my nits are slight here. Ender Inciarte: wins his 3rd GG, and this might also be a “reputation award” because the NL had at least two more deserving candidates. Lorenzo Cain was the Fielding Bible award winner, and led the NL in Fangraphs total Defense and DRS. Harrison Bader led the league in UZR/150 and FRAA. Inciarte was second to Cain across the board among qualified CFs … so why wasn’t he the winner? Nick Markakis wins his third GG … in somewhat of a “down year” for NL right fielders. Its hard to say who the deserving winner here was: Yasiel Puig led qualified (and all) RFs in DRS, Jason Heyward led in the two iffy stats FRAA and B-R’s total zone. Markakis posted just barely positive figures for both DRS and UZR/150, and there’s only 6 “qualified” RFs on the list … so I guess Markakis isn’t the worst possible choice. Bryce Harper, coincidentally, had an abhorrent year defensively. Which is really weird, because last year he posted BETTER numbers across the board than those that just won Markakis a Gold Glove. It almost makes you wonder if Harper wasn’t nursing yet another hidden injury all year. Or maybe he was just 100% disgruntled and not trying (he certainly hit like it) But I digress. The Fielding Bible awards are a part stat, part committee-led selection process spearheaded by Bill James (yes the same Bill James who said that all players were replaceable. Great take for an employee of a MLB ball-club). And the Gold Glove awards managed to miss fully 1/3rd of the FB awardees this year. This table is the Fangraphs Defense Runs Above Average stat, a combination of DRS and UZR that attempts to get the best of both worlds of the individual defense stats. DEF aligned the best with the GG Winners, matching up 56% of the time. This table is the UZR/150 leaders. UZR is a range factor stat,normalized to 150 games to take out small sample sizes, and I’ve limited the leaders to those who played at least 500 innings this year at the position in question. Its not a counting stat so it can be skewed if a fleet-of-foot player makes a ton of flashy plays. Interestingly, UZR/150 did a great job predicting the AL gold glove winners … but did not align with a SINGLE NL winner. I also found it fascinating that the NL leader for left fielders was none other than Kyle Schwarber who has been frequently denigrated for his lack of defensive prowness. Well, stats don’t lie; maybe its time to re-think the Chicago slugger’s contributions. This table shows league leaders in DRS; Defensive Runs Saved. Its a counting stat, so the more innings you play the more you can accumulate. And, its a contextually driven stat, which can result in some random skewing. For example; lets say you reach over the fence and catch a potential home run with the bases loaded; this results in 4 DRS. But all you did was make one fly ball catch of slight but not exceedingly extensive difficulty. This leads to some wild variations in DRS for some players. For example; Mike Trout (widely considered to be a fantastic CFer) has posted these full season DRS figures in his career: 21, -11, -12, 5, 6, -6 and 8 in 2018. So, who is Mike Trout the center fielder? Is he the guy who posted a 21 DRS in 2012 (an amazingly good figure), or the guy who posted consecutive seasons of -11 and -12 the next two years (pretty bad), or the guy who posted an 8 DRS in 2018 (good enough for 5th among qualified CFers, but just 12th in baseball among all CFers for the year and behind our own Michael A. Taylor, who put up 10 DRS in part time duty). I dunno. This is why you look at multiple defensive stats. This table shows the Baseball Prospectus Fielding Runs Above Average, which tries to roll all the metrics and defensive contextualization into one stat. This stat routinely does the worst job predicting Gold Gloves; this year it matched up with just 4 of the 18 GG winners. The last table here shows Baseball-Reference.com’s attempt at a defensive stat; one called Total Zone. They’re really hard to find on their main page, but they’re there. This stat tries to create a “runs above average” based on plays made combining the output of several other defensive rate stats. But something seems amiss with this stat: the three AL outfielder leaders for the FRAA defensive metric ALL played in Boston. Andrew Benintendi, Bradley and Betts swept the lead. Is there something weird about Fenway that lead FRAA to get skewed results or is this a coincidence? Might be a coincidence since Bradley and Betts are both league-best calibre defensive players, but its also worth noting that two of the three FRAA leaders in the NL outfield play in Pittsburgh. FRAA also wildly overrates Catcher defense; most of the guys in the top 20 are catchers. I know defensive stats are not perfect. Which makes WAR figures imperfect as well. But they’re the best we have, and looking across all of them gives the best viewpoint into ranking and evaluating defenders. I just wish the people voting on these awards did the same. Third year running for this post, looking at the announced winners of the Gold Gloves for 2015 and comparing them to the Fielding Bible winners for 2015 and the leaders of various defensive metrics available to us. For a glossary of the metrics, see the end of the post. Here’s 2014’s post and 2013’s post as well. Here’s a Google XLS link to all of this data in one sheet. Also available in the Links section to the right. There are a couple of other “repeat” winners in here (as in guys who have won awards previously, just not in 2014), namely Manny Machado and Paul Goldschmidt. So, why are we calling Jose Altuve, Alcides Escobar, Yadier Molina and (especially) Brandon Crawford questionable selections? Read on. We’ll pass some judgement at the end. So, Andrelton Simmons is a unanimous choice of a blue-ribbon panel yet doesn’t win the Gold Glove? Likewise, Kinsler and Posey are selected but neither got the Gold Glove. Simmons is probably the biggest mistake in the Gold Glove awards, but lets dig into the stats to see what happened. Now lets start in with the defensive metrics. First: UZR/150. We see some consistency here with the players named in the Gold Gloves and/or the Fielding Bible awards. 7 of the 14 leaders here also won Gold Gloves, and 4 of the 10 leaders here won Fielding Bible awards. You’re going to see the same outfield names over and over; that’s how dominant this selection of outfielders were this year. Ian Kinsler represents one of the bigger snubs in the Gold Glove awards, as we’re about to see. These are definitely closer to the Gold Gloves. 10 of the 16 league leaders here also won GGs. A note here; the Kiermaier DRS figure is apparently the highest ever recorded by a fielder in a single season. Simmons’ 25 DRS dwarfed the field, as does his overall DRS figure over the last three years, more evidence that the GG award to Crawford was poor. Just 8 of the 18 leaders in this stat also won Gold Gloves, and the presence especially of the Nats’ own Danny Espinosa really calls this stat into question. How is Espinosa, a part time player, the league leader here in a year where there were several other good 2nd basemen? Its easy to see w here some of the finalists came from in the GG awards, since this is the only list that GG finalist Wilson Ramos appears on. Its also the only place where GG winners Altuve and Crawford appear. Just 6 of these 18 leaders also won GGs, meaning its the least accurate predictor of GG winners. And one of the leaders in practically every other category (Heyward) is supplanted by the 40-yr old Suzuki in these stats. Makes you wonder. It seems to me that the “statistical”component of the Gold Gloves is using the wrong stats (FRAA and/or TZ), and that it should be using DRS and UZR/150. Even so, as noted elsewhere, the Gold Gloves are doing a much, much better job selecting the award winners on a whole, and the days of awarding them to the likes of Derek Jeter or Rafael Palmeiro seem long gone. Gold Gloves: awarded annually (presented by Rawlings) and are a combination of Manager/Coach voting and a “statistical component.” This component is provided by SABR and is now 25% of the voting. I cannot find details on what comprises this statistical component, but based on the finalists announced I strongly believe it is related to the Total Zone fielding measurements. Fielding Bible Awards: Bill James-driven website that uses a committee of national writers to select the winners. The site is here and you can read about their methodology and panel members. UZR: Ultimate Zone Rating, defined well here at fangraphs, attempts to be a comprehensive measure of how many batted balls are turned to outs for a particular fielder, then adjusted by errors, arm and other factors. UZR/150 standardizes the counting stat UZR to an average across 150 games to allow apples-to-apples comparisons of players who play different numbers of games in a season. DRS; Defensive Runs Saved, defined well here at Fangraphs, focuses more on pure “runs saved” from all possible defensive plays that involve a fielder. It seems to measure more things that UZR and sometimes disagrees with UZR. FRAA: Fielding Runs Above Average, defined here at Baseball Prospectus. A measure that attempts to remove the bias present in zone-based data and also tries to factor in the tendencies of the pitcher on the mound (ground-ball guy, fly-ball guy, etc). Total Zone: defined here at Baseball-reference.com. A different “total defense” measurement incorporating all the various defensive data available, including catcher data, zone fielding, errors, arm, etc. Last year, I created a little spreadsheet upon the announcement of the Gold Glove winners, to see how they compared to various defensive metric leaders (2013 xls link here). And I threw in the “Fielding Bible” award winners, since that has now taken over as the “accepted” list of the year’s best defensive players, thanks to the Gold Gloves continuing to pick inexplicable players (this year’s repeat “I cannot believe he won” player again being Adam Jones). But, as we’ve seen, the Gold Gloves are getting better, and the days of picking someone like a statue-esque Derek Jeter and/or a nearly permanent DH in Rafael Palmeiro seem to now be over. So, now that we’ve announced the 2014 Gold Glove winners, lets also look at the league leaders in various defensive metrics. This data is in the following spreadsheet for 2014 on Google Docs. First, your 2014 Gold Glove winners: bold are also Fielding Bible winners, and red are the most egregiously bad selections. As with last year, the league still remains obsessed with Adam Jones despite his possessing negative defensive rankings across the board. Kyle Seager wasn’t “bad” but wasn’t nearly as deserving as Josh Donaldson. The only other real “bad” selection was Molina, not because he’s not a great defensive catcher (he is), but because he missed a ton of time and there were better options in the NL this year (namely, Jonathan Lucroy). Otherwise every Gold Glove winner listed here was deserving. Repeat Gold Glove winners from last year: Molina, Hosmer, Pedroia, Hardy, Simmons, Arenado, Gordon, and Jones. So, 8 of 18. They selected Lucroy over Molina, and Donaldson over Seager. They’ve also added a 10th position for “Utility,” to recognize the excellent work of Lorenzo Cain playing multiple outfield positions. Now, here’s the league leaders by various defensive stats. The links to get any of these leaderboards are in the Google xls. First: UZR/150. I like UZR as a measure and use it often. UZR/150 somewhat standardizes the scores across a 150-game average to represent the figure for a full-season for apples-to-apples comparisons. A good number of these leaders also earned Gold Gloves and/or Fielding Bible awards. Josh Donaldson was the clear AL 3B leader. Otherwise there’s a lot of similarities to the lists we’ve already seen. I was surprised as heck to see Albert Pujols on this leader board. For a quick point of reference to the above scores, the BEST UZR/150 of any Nationals player this year was Anthony Rendon‘s uZR/150 of 4.6 while playing 3B. Span and LaRoche (our two GG finalists) both scored *negative* UZR/150 scores … perhaps an indictment of their nominations in general as being based on reputation and not actual on-field performance this year. Next: DRS; Defensive Runs Saved. Some like this stat a lot; I struggle with it because single plays (like an outfielder reaching over the wall to take away a homer) result in huge swings in the numbers on plays that aren’t necessarily the hardest to make. Dustin Pedroia had one of the highest UZR/150 ratings in the league … but he was not the top-rated 2nd baseman in the AL. We have our third different AL center fielder in three lists. Otherwise this is a pretty good list. Interestingly, Jean Segura shines highly here (the supposed “best defensive player in the league” Andrelton Simmons only scored a 10.0 in FRAA). And this stat really favors the play of some random players: I had no idea who Kevin Kiermaier or Ender Inciarte were before doing this post, nor did I know what position they played. Adam Jones scored a -8.1 FRAA; ranking him 1187th out of 1212 players for 2014. I’m not kidding. That’s how bad a selection for the Gold Glove Jones was. Check it out: our own Wilson Ramos is on this list as the “leader” for the NL. Which, no offense to Ramos, makes you question at least the catcher rankings for this stat. Rendon also factors in for his partial season at 2B. But overall, this seems like the least reliable defensive stat. Did I miss any good defensive metrics? Do you have one you like more or less than these? I know there’s other stats out there; I can update this analysis with more of them. So, how did the Gold Gloves do this year in selecting the most deserving winners? Pretty good. 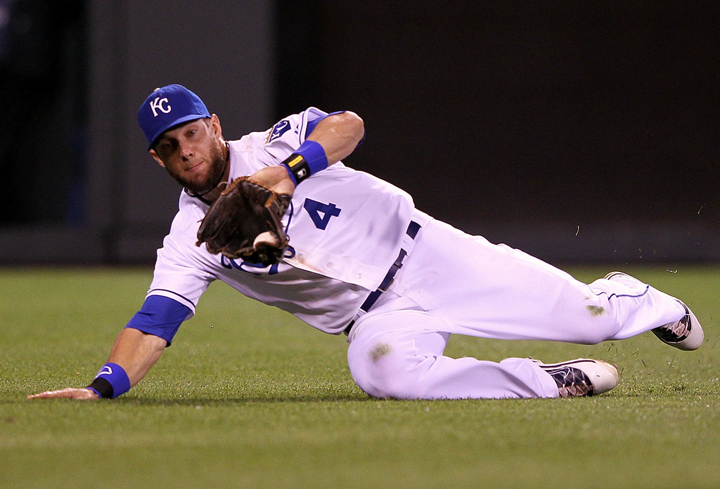 Alex Gordon was the AL leader for left fielders in every stat. I think they picked the two correct short stops. Catchers are difficult to measure. They absolutely screwed up the AL Center fielder (though to be fair; there were four statistical measures presented and four different AL center field leaders. Excellent defensive players who jump around (Lorenzo Cain, Ben Zobrist) make the awards somewhat challenging in some cases. Predicting the 2013 End-of-Season Awards: how’d we do? Predictions versus Results review. Did we go 8-for-8 in the BBWAA awards? How about 12-for-12 including the Sporting News awards? A tough task (the Sporting News awards are notoriously squirrely). Here was my 2013 Prediction post from Early October. For some past history, here’s the 2012 version of this post, and here’s 2010 and 2011 prediction pieces as well in case you forgot who won the 2010 AL MVP (Josh Hamilton in a landslide; oh how far he has fallen). Lets review my predictions versus the results. AL MVP: Predicted Miguel Cabrera. Actual: Cabrera. AL Cy Young: Predicted Max Scherzer. Actual: Scherzer. AL Rookie of the Year: Predicted Wil Myers. Actual: Myers. AL Mgr: Predicted Terry Francona. Actual: Francona. AL GM: Predicted Billy Beane. Actual: Ben Cherington. AL Comeback Player of the Year: Predicted Scott Kazmir. Actual: Mariano Rivera. NL MVP: Predicted: Andrew McCutchen. Actual: McCutchen. 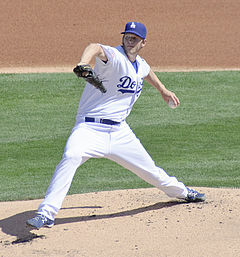 NL Cy Young: Predicted Clayton Kershaw. Actual: Kershaw. NL Rookie of the Year: Predicted Jose Fernandez. Actual: Fernandez. NL Mgr: Predicted Clint Hurdle, Pittsburgh. Actual: Hurdle. NL Comeback Player of the Year: Predicted Francisco Liriano. Actual: Liriano. 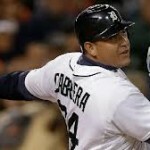 AL MVP: Predicted Miguel Cabrera. Actual: Cabrera. Another year, another set of whiny posts from the ever-obstinate stat crowd about the AL MVP. Cabrera gets first place on 23/30 ballots and cruises to victory. I’ll say this: if you want a “best player” award that’s just driven by the WAR standings, then convince the BBWAA to create one. A batting version of the Cy Young Award. Oh but first you have to explain why the three WARs (Fangraphs, baseball-reference and Baseball Prospectus) don’t actually agree with each other, or why they vary so much, use different input parameters, change over time, and depend on defensive statistics that basically depend on estimates and admit they cannot measure every aspect of the game. Until then, you have to deal with the vague definition of “valuable” and explain how someone can be the “most valuable player” on a team that finished last in its division. In the mean-time, check out the voting; someone voted Trout SEVENTH in this race; i’m sure there’s going to be plenty of whiny posts in the baseball blogosphere about this reporter (yup, there were). AL Cy Young: Predicted Max Scherzer. Actual: Scherzer. Scherzer won overwhelmingly, getting 28 of 30 first place votes. What’s more amazing is seeing who else got first place votes. Anibal Sanchez? Wow. Who looked at the Detroit rotation and made the determination that Sanchez was the guy who led the line and not one of his teammates? AL Rookie of the Year: Predicted Wil Myers. Actual: Myers. Tampa’s Wil Myers won in more or less a landslide, getting 23 of 30 first place votes. It was a down year in the AL for rookies but Myers continues to show why the Tampa-Kansas City trade will haunt Royals fans for years to come. AL Mgr: Predicted Terry Francona. Actual: Francona. I think the right guy won here; if you look at what Cleveland did this year with the squad they had, the accomplishment of Francona becomes even more distinct. The vote was closer than I thought it would be (he took 16 of 30 1st place votes) over John Ferrell of Boston. Bob Melvin gets some very deserved votes as well. I was worried that this award would go to the Red Sox guy after their worst to first season (much like I believe the GM award was seemingly selected). AL GM: Predicted Billy Beane. Actual: Ben Cherington. I completely disagree with this selection, but am somewhat irked with myself for being “talked out” of selecting Cherington by a column I read earlier this year about Beane. Yes Cherington did an amazing job moving his malcontents and signing the players that enabled the Red Sox to win another World Series. But honestly; how can you be the executive of the year with the 2nd or 3rd highest payroll in the game?? If Boston makes a $15M/year mistake in free agency … they just get another guy. If a team like Tampa or Pittsburgh or Oakland makes a $15M/year mistake, it cripples them for years to come. That’s why I feel a GM from a small market team that makes the playoffs is absolutely more deserving of this award over a major market GM, every time. AL Comeback Player of the Year: Predicted Scott Kazmir. Actual: Mariano Rivera. I have no problems with this award; in fact i’m kind of mad at myself for not thinking about Rivera. Everything about his career is amazing, and the last year, where he pitched at all-star levels after missing an entire season and being at such an advanced age just cements his legacy even more. NL MVP: Predicted: Andrew McCutchen. Actual: McCutchen. This one ended up being pretty easy to predict, an entirely narrative driven vote. See my post on Carlos Gomez for why I say that. McCutchen got 28 of 30 first place votes, only missing out on the two St. Louis voters supporting Yadier Molina. 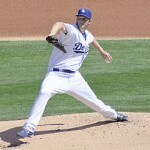 NL Cy Young: Predicted Clayton Kershaw. Actual: Kershaw. First place on 29 of 30 ballots, which i’m sure will touch off faux-anger articles the next day about why he wasn’t unanimous. Our own Jordan Zimmermann got a slew of 3rd and 4th place votes (but ironically none from the local Washington writers who voted) and finished 7th overall. NL Rookie of the Year: Predicted Jose Fernandez. Actual: Fernandez. In a race that looked like it would be too difficult to call earlier in the season, Fernandez ended up dominating (taking 26 of 30 first place votes). He wins over Yasiel Puig and a slew of excellent candidates. Ironic how Shelby Miller finishes third but his fellow rookie teammate Michael Wacha was the post-season hero (and may be the more coveted player, since Miller’s name is already in trade rumors). NL Mgr: Predicted Clint Hurdle, Pittsburgh. Actual: Hurdle. This was perhaps the easiest award to predict after the NL Cy Young; Hurdle took first place on 25 of 30 ballots. NL GM: Predicted Neal Huntington, Pittsburgh. Actual: Huntington (2nd overall; best NL executive). Huntington’s slew of moves on the trade and free agency markets over the last couple of years, combined with the team (finally?) showing some dividends from its drafting and farm system had them in the playoffs despite one of the lowest payrolls in the league. Huntington is an easy choice for best NL executive. NL Comeback Player of the Year: Predicted Francisco Liriano. Actual: Liriano. No surprise here: Liriano went from being fantasy waiver wire chaff to one of the best pitchers in the league this year. How much longer can he keep this level of performance going from here? I took out my two predicted “Firemen” of the year because, well, I have no idea if or when they’ll be announced. The Rolaids relief man of the year award may be kaput; the website is down, they apparently havn’t announced it for 2013 despite every other post-season award having already been given out, and I wanted to post this sucker. Repost: Why didn’t Carlos Gomez get more NL MVP support?? [Editor’s Note: I posted this initially on October 29th, 2013, and didn’t get a SINGLE comment. Maybe it got lost in the World Series hoopla; maybe all the readers of this blog were taking a post-season Nats break. I’m reposting this and changing all the cases to past tense in the wake of 11/14/13’s MVP voting. I’d like to get some discussion here; if you are an ardent Mike Trout supporter and use WAR as part of your argument, i’d like to hear your thoughts on this post]. The title of this post says it all. It is a simple question. Brewers break-out star Carlos Gomez led the NL in bWAR in 2013. Gomez played for a non-playoff team. He augmented his 24-homer/.506 slugging bat with speed on the basepaths (40 SBs) and plus defense in center (he was just named to Bill James Fielding Bible Team as the best defensive Center Fielder in the game and won a Gold Glove). Yet Gomez lost out on the MVP award, which went to Andrew McCutchen, a player who trailed him in the bWAR standings but who played for a playoff team. Sounds an awful lot like the Mike Trout/Miguel Cabrera comparison, doesn’t it? Gomez didn’t just lose out; he wasn’t even named a FINALIST for the NL MVP, meaning he wasn’t even in the top 3 candidates in the NL. In fact, Gomez came in NINTH! He wasn’t even close to winning despite leading the league in one version of WAR. Why did nobody talk about Carlos Gomez for the NL MVP? In fact, in the litany of post-season award prediction pieces I read, he was never really even mentioned. You heard about McCutchen, Clayton Kershaw and Paul Goldschmidt as the top 3 NL candidates, then you heard about guys from the other playoff teams (Yadier Molina or Matt Carpenter from St. Louis, Joey Votto from Cincinnati, or Freddie Freeman from Atlanta). Where’s Gomez on this list? If you are a critic of the Miguel Cabrera pick and maintain that Mike Trout deserves the MVP in the AL and use “WAR” as a basis for your argument … then are you similarly arguing that Gomez should have won in the NL MVP right now? I think the entire Trout-Cabrera argument is tired; I’m tired of hearing it and I’m sure people are tired of talking about it. The critics of those who support Cabrera for MVP like to talk about the “narrative” of the MVP, how the award criteria definition on the ballots seems to imply that the winner “should” come from a playoff team. But I’m of the opinion that those who blindly live by the WAR stat and support Trout but do NOT similarly demand support of Gomez are falling victim to their own “narrative” as well. And that narrative is continued obstinance to a cause without looking up to see what else fits their world-view. Ask yourself; if you think Trout is the AL MVP (this year or last year) … then what’s your argument that Gomez is NOT the NL MVP this year? Where’s all the narrative-driven arguments about how “you shouldn’t lose the MVP because your teammates were bad” or that “the MVP doesn’t have to come from a playoff team.” Because if you make those arguments in favor of Trout and not in favor of Gomez, then you’re a “narrative hypocrite” just like someone who says the reverse and supports Cabrera and McCutchen BECAUSE they played on playoff teams. The recent years have been a rise in all sorts of statistical analysis in the game of baseball (as we all know), and one of the more important areas of research has been the measurement and tracking of defensive metrics. The data we have at our disposal is not yet infallible, but the data has opened our eyes to the real impact that some major leaguers have on the defensive side of the ball. We’re all quite familiar with the WAR-based arguments that have completely consumed last year’s AL MVP award voting as an example of modern statistics helping to shape the selection of a traditional award winner. However, up until 2013, the Gold Gloves remained an award that was given out without practically any consideration given to any advanced metric, and the awards have been embarassed in recent years with some amazingly inept selections. The two most laughable selections of recent memory were Rafael Palemeiro in 1999 (given a Gold Glove for his play at 1B despite the fact that he only played 28 games in the field that year) and Derek Jeter in 2010 (a year in which he posted a -5.1 UZR/150, was dead last among all 59 AL shortstops in Total Zone Total Fielding and had the selection was openly mocked by the normally staid Baseball-Reference.com website). Even the more defensible gold gloves over the past few years have been considered “wrong” by the stat-crowd, to the point where a number of national writers openly mock the awards and go out of their way to “ignore” th em. This concerns me as a fan, and as someone who is keenly interested in the Hall of Fame merits of players. I absolutely believe that when it comes time to judge players on the whole of their careers, that individual awards such as the Gold Gloves, MVP and Cy Young awards matter. I want these awards to be relevant and properly awarded. Bill James and a varied panel of baseball writers, statisticians in the field and former players now vote on The Fielding Bible awards each year. The 2013 Fielding Bible awards are not league specific; they recognize the best in the majors at each position each year. The Gold Glove award committee for the first time in 2013 has incorporated a statistical element to the traditional surveying of players and coaches to choose the award winners. (All winners/leaders listed below are on one common Google XLS here. Listed are the winners of the GGs, Fielding Bibles, and then the leaders in each league by position of these Defensive stats: UZR/150, DRS, FRAA, and Total Zone. I haven’t gone into the various definitions and pros/cons of these stats; I have a planned off-season defensive statistical overview post where I’ll go into greater detail). 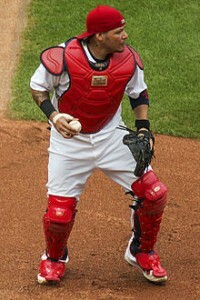 Catcher: Salvator Perez is as good an AL pick as any; the only other AL catcher in the mix is Matt Weiters. On the NL side, Jadier Molina has earned his reputation and backs it up on the metrics side. His only challenger being the little known Wellington Castillo from Chicago. 1st Base: Hosmer and Goldschmidt seem as good of picks as any; only Mike Napoli and Anthony Rizzo seemed close in either league. Napoli may have been a better pick than Hosmer on the weight of the evidence. 2nd Base: There’s several decent candidates who were not honored, but I don’t think anyone is arguing vehimently against either Pedroia or Phillips as the winners. Darwin Barney may be the most egreiged candidate. Shortstop: the amazing Andrelton Simmons led every possible statistical category; there was no chance he was losing. J. J. Hardy‘s selection wasn’t bad per se, but as you can see from the above tables four different AL shortstops led each of the four statistical measures. None of them was Hardy though, making you wonder if his gold glove was slightly on reputation. 3rd Base: One day Manny Machado will move back to short (maybe) and challenge Simmons for the title of “Best Shortstop in the Game.” But for now he has to settle for easily being the best defensive 3B in the game. As with Simmons, Machado led every possible defensive measure at his position. On the NL side, the choice of Nolan Arenado was a sound one, with only Juan Uribe really challenging him. Thankfully the award didn’t go to someone like David Wright or our own Ryan Zimmerman based on reputation. Left Field: Alex Gordon was a sound choice; the NL choice of Carlos Gonzalez may have been a disservice to one Starling Marte. However, picking individual positions for the OF is somewhat tough, especially for the corners. Fangraphs lists RF winner Gerardo Parra as a left-fielder for some reason. Center Field: Carlos Gomez is a great pick (and is one of the reasons I posted my “Why no MVP support for Gomez” post in this space, which by the way, got almost no reaction from the readership…). Adam Jones was nearly dead last in some of these range metrics and unfortunately has gotten this award via reputation (and his arm; still one of the best) as opposed to performance. Jones is clearly the “Derek Jeter” of 2013, and the voters really erred badly on his selection. Its hard for me to say who I would have preferred; Jacoby Ellsbury is the biggest name among the four guys who led the four different defensive numbers, but Ellsbury’s arm is weak (nearly last of any CF in the league) and a better candidate would have been Leonys Martin. Right Field: Gerardo Parra and Shane Victorino are the leading candidates for their leagues and both selections are warranted. I know that Hunter Pence led the NL in FRAA, but his arm is awful (one of the worst of any RF in the league), so that has to count against him. In fact, Victorino was as good as or better than Parra in most of these metrics (with the exception of Arm; Parra has one of the better arms in the league). I’m guessing its arm strength that tipped the Fielding Bible balance to Parra. Conclusion: I think the Gold Gloves did a pretty good job in 2013 of identifying the best overall defenders at each position. With one significant exception (Adam Jones). I think its time the sportswriters who have been purposely ignoring the awards come back into the fold. Why isn’t Carlos Gomez getting MVP consideration? Brewers break-out star Carlos Gomez led the NL in bWAR. Gomez played for a non-playoff team and augments his 24-homer/.506 slugging bat with speed on the basepaths (40 SBs this year) and plus defense in center (he was just named to Bill James Fielding Bible Team as the best defensive Center Fielder in the game). Yet Gomez will likely lose out on the MVP voting to Andrew McCutchen, a player who trails him in the bWAR standings but who played for a playoff team. Why is nobody talking about Carlos Gomez for the NL MVP? In fact, in the litany of post-season award review columns not only do I not see his name prominently mentioned, I’m not seeing it even mentioned in the list of top 5-6 candidates. You hear about McCutchen, Clayton Kershaw and Paul Goldschmidt as the likely top 3 NL candidates, then you hear about guys from the other playoff teams (Yadier Molina or Matt Carpenter from St. Louis, Joey Votto from Cincinnati, or Freddie Freeman from Atlanta). Where’s Gomez on this list? If you are a critic of the Miguel Cabrera pick and maintain that Mike Trout deserves the MVP in the AL and use “WAR” as a basis for your argument … then are you similarly arguing that Gomez should win in the NL right now? I think the entire Trout-Cabrera argument is tired; i’m tired of hearing it and I’m sure people are tired of talking about it. The critics of those who support Cabrera for MVP like to talk about the “narrative” of the MVP, how the award criteria definition on the ballots seems to imply that the winner “should” come from a playoff team. But I’m of the opinion that those who blindly live by the WAR stat and support Trout but do NOT similarly demand support of Gomez are falling victim to their own “narrative” as well. Ask yourself; if you think Trout is the AL MVP (this year or last year) … then what’s your argument that Gomez is NOT the NL MVP this year? I usually don’t do post-season award analysis until, well, the post-season. But this year the MVP races seem like they could end up being really interesting. So lets take a look at who’s in the hunt. Outstanding performances from players on non-playoff teams. Generally position players, except in a year when no position player really stands out. I’m not going to get into an argument about whether the “MVP” means the “best player” or “most valuable” here. I’ll leave that to the multitude of other people who can’t get over this distinction. For me, the “MVP” still is a subjective award not entirely driven by the guy with the best WAR on the season. There are plenty who cannot get over the fact that Mike Trout had s uch a fantastic statistical season last year and didn’t win the MVP. Not me; I don’t see how you can be the “MVP” of a league when your team finishes 20 games out of first. NL: Divisional Winners Atlanta, Pittsburgh, Los Angeles with St. Louis and Cincinnati meeting in the wild card game. AL: Divisional winners Boston, Detroit and Oakland with Tampa Bay and Texas meeting in the wild card game. The NL playoff picture seems mostly set; the two wild card leaders have a decent lead on Arizona that seems, well not insurmountable but surprisingly strong. The AL picture is a bit more unsettled; lots can still happen in the AL East, and there’s three teams within 4.5 games of the wild card right now (Cleveland, Baltimore and Kansas City). And that’s to say nothing of the Yankees, who are in the hunt but seem more of a sideshow these days than a contender. Atlanta: Andrelton Simmons leads the team in bWAR, with almost all of it coming on the defensive side of the ball. He’s hitting .243 and your voter base just doesn’t have an appreciation for defensive exploits just quite yet. Justin Upton started out scorching hot and still has great stats on the year, but has cooled so significantly that I don’t believe Atlanta has an MVP candidate. They have 4-5 really solid hitters and solid pitching driving them to their divisional title. Pittsburgh: it begins and ends with Andrew McCutchen, a serious leader for the award right now. He’s tied for the league lead in bWAR and is having an outstanding season. Starling Marte has broken out this year but nobody denies that this is McCutchen’s team. Pedro Alvarez leads the NL in homers but is otherwise good, but not great, in other offensive statistics. Los Angeles Dodgers: Yasiel Puig leads the team’s hitters in bWAR while taking the league by storm, but he’s only slightly ahead of Hanley Ramirez, who is having a relatively quiet break through season. But neither guy has played in half the team’s games, leaving a lot of pundits to call for Clayton Kershaw, who is tied with McCutchen for the NL lead in bWAR to get MVP votes. While I don’t advocate this scenario, it would not surprise me to see Kershaw win the Cy Young and get a top-5 MVP finish. St Louis: Yadier Molina continues to be the transcendent catcher in the NL and is the “spiritual leader” of the Cardinals, but he has gone down with injury and may be losing MVP steam. He no longer even leads his own team in bWAR (Matt Carpenter does), but remains a good candidate. Cincinnati: the obvious candidate here is Joey Votto, But something seems like Cincinnati’s scuffling as of late combined with the flashier candidates out there will lead to Votto getting votes but not the award. Arizona’s Paul Goldschmidt is in the top-10 in league bWAR for the Diamondbacks, but unless this team makes a huge run to the playoffs he’s merely going to be a top-10 vote getter. Milwaukee’s Carlos Gomez is tied for the league lead in bWAR, but his streakiness and his team’s place in the standings is going to make it tough for him to get anything other than a top 10 finish. New York‘s David Wright is also putting together a great season, sitting in the top 10 in league bWAR almost entirely on the back of his bat (surprising given his prowness at third). As with Gomez, the Mets position in the standings hurts him badly. And his recent D/L trip (which seems like it may end his season) ends his chances. My opinion of the NL voting right now: McCutchen, Kershaw, Molina, Votto, Gomez. Boston is being led by their two best players, Jacoby Ellsbury and Dustin Pedroia. They are both top-10 in bWAR and are having excellent seasons. Voters likely won’t be able to tell between them and they’ll split the vote with both guys getting top-10 MVP seasons. Detroit: Is there any question? 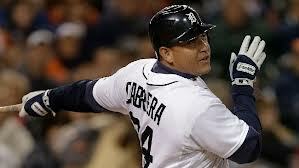 Miguel Cabrera, who despite negative defensive bWAR is leading the AL. Max Scherzer will get serious Cy Young consideration but not MVP votes, not with Cabrera and other candidates. Oakland: Jody Donaldson has become the latest “who is that?” player that Oakland has found to drive them to a pennant in a division they have no business competing in. But east-coast bias and lack of star-power will work against him. Tampa Bay: It has to be Evan Longoria, once again, the face of the franchise. But as with year’s past, he’s toiling in relative obscurity in front of half the fans that should be supporting a team this good. And a lot of credit will go towards Wil Myers‘ call-up, taking away Longoria votes. Texas: the story of Adrian Beltre‘s career; he’s a darn good player and nobody gives him enough credit. Texas has shed many of its name players over the past few seasons, but Beltre continues to provide great value on both sides of the ball. The transcendant player on Texas this year is Yu Darvish, who will struggle in the Cy Young race (subject of anohter post). Baltimore may very well sneak into a WC slot as they did last year, entirely on the backs of two guys. Chris Davis is having a great power season while Manny Machado is having a historic 20-year old season in general. Both guys have top-10 bWAR seasons and, as with the Boston guys, may split votes here. Machado in particular looks like he’s already put himself in the “Trout-Harper” discussion for most transcendent young player in the game. Los Angeles Angels: Here we go again. Mike Trout has put “sophomore slump” naysayers to shame, posting as good or better numbers across the board in 2013. Interestingly, Trout’s defensive component in 2013 is significantly hurting him whereas in 2012 it gave him a huge boost; his defensive component in bWAR is actually *negative* for 2013. A topic for another day, the ridiculous swings we see in defensive advanced stats. In any case, as with 2012 I think Trout’s team’s underperforming will hurt him and he will lose out again. It is what it is. My opinion of the AL voting right now: Cabrera, Trout, and then I have no idea. Right now I’d probably go Machado, Ellsbury and Davis. There’s still a lot of season to go, so lots could still happen. But I’m putting early markers on McCutchen and Cabrera. Both well deserved.